Prior to joining Triple Jump, Claudia worked as investment analyst for MFIs at Symbiotics in Peru and Brazil. She has also worked at Citibank in Colombia, for the Colombian Ministry of Foreign Trade, for Standard & Poor’s Sovereign Ratings Group and for the United Nations Capital Development Fund during the Year of Microcredit (2005). Claudia co-funded and managed for two years an immigration service company in New York. 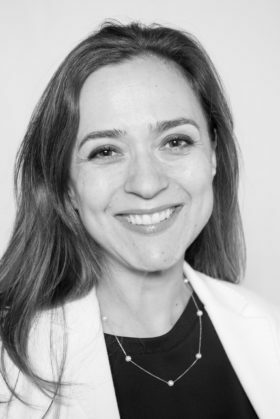 Claudia holds a bachelor’s in economics from Universidad de los Andes in Bogotá, and has a diploma in International Relations and Development from the Institute of Social Studies in The Hague, as well as a Master’s Degree in Public Administration from Columbia University in New York. Claudia is a Colombian national and speaks English and Spanish.